Look at this cutie! He turned up to have a mid-afternoon snack after we finished making special feeders for the local wildlife and binoculars to observe them with! 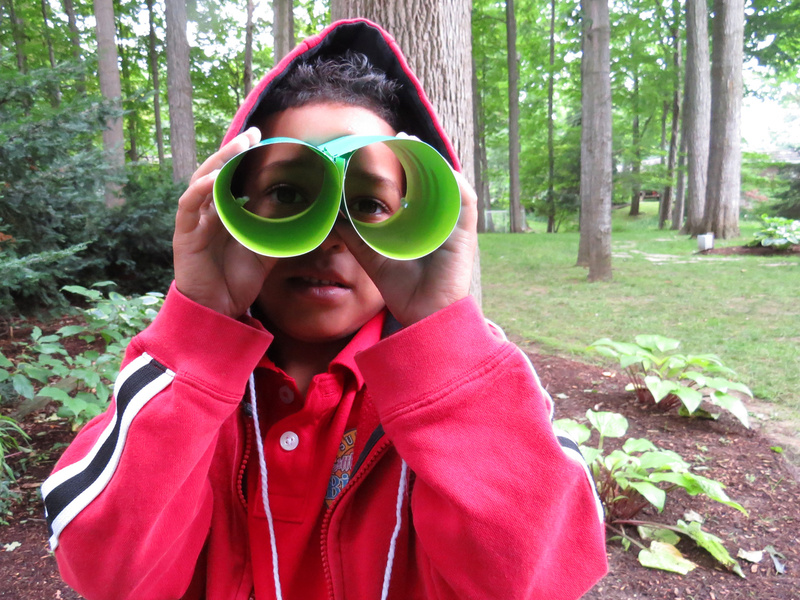 Learning Objectives: Observe the amazing details and beauty of nature. 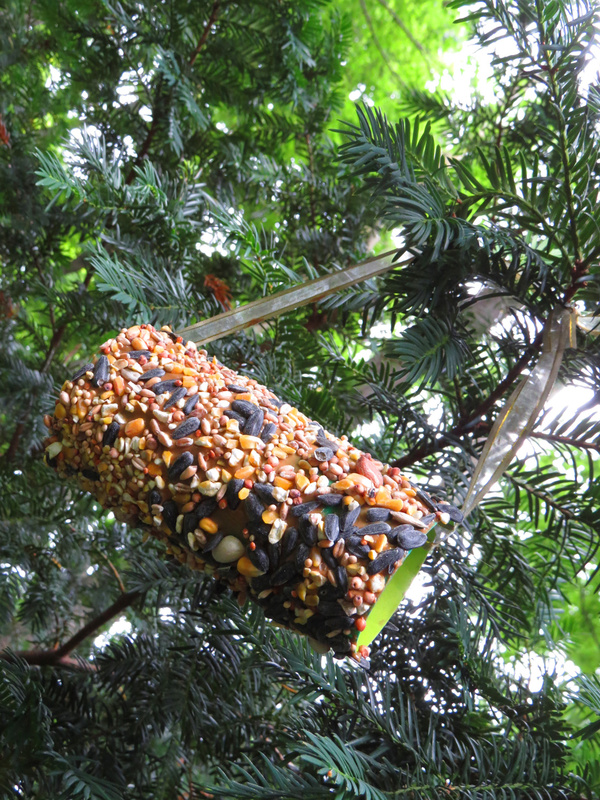 Create special feeders for birds, squirrels and other critters. 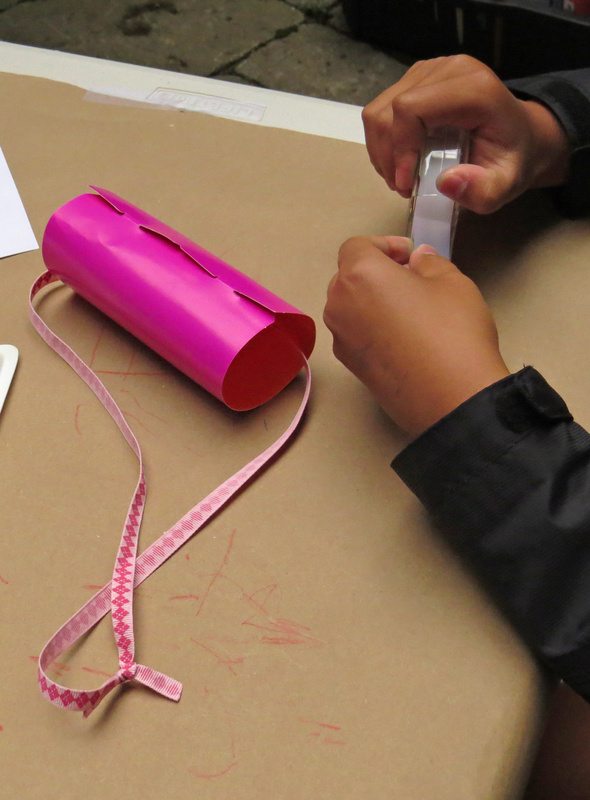 Use fine motor skills to roll up tubes. 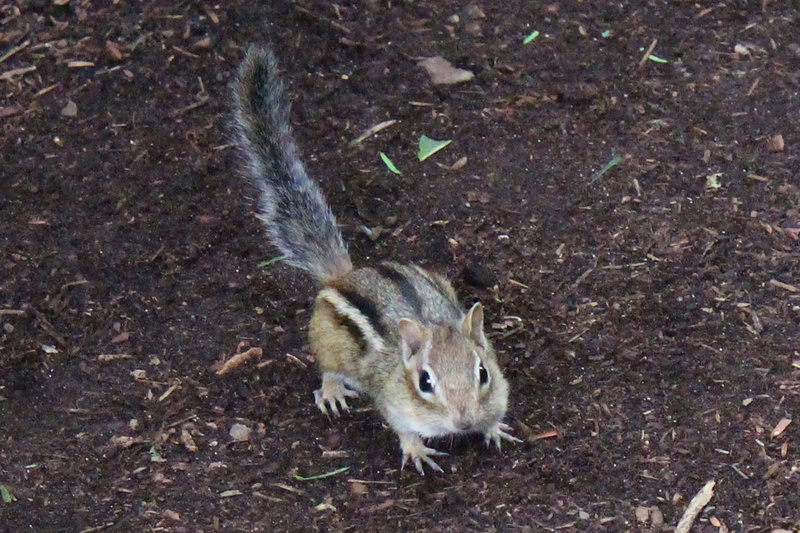 Talk about local wildlife and natural habitats. The Tube Crafts feature several flat cutout shapes that have colors printed on either side. One side of the flattened tube features tabs, and on the other side are slots that the tabs fit into. Roll the flat sheet into a tube like shape and slide the slots into the tabs. This keeps the tube’s shape. Cut a length of ribbon and feed it through the tube. Tie the ends of the ribbon together. This ribbon will help hang up the tube feeder. 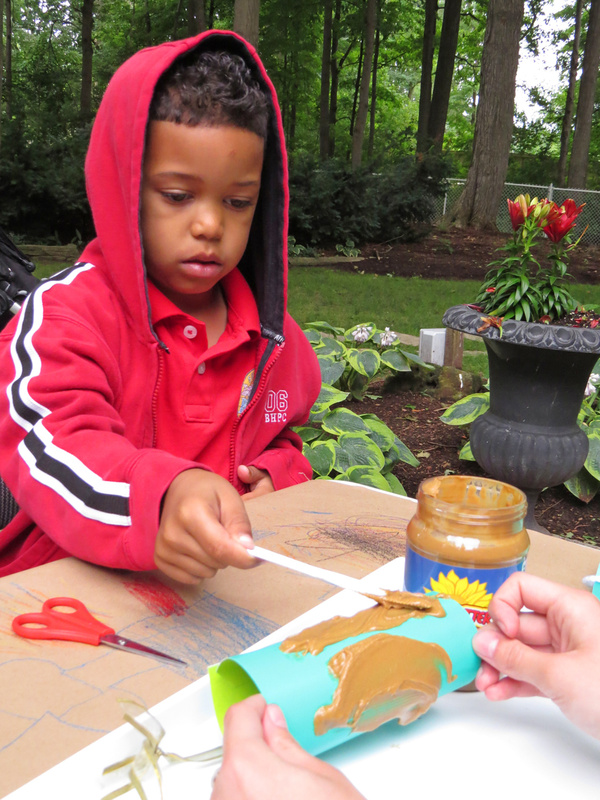 Place the tube onto a paint tray and smear the tube entirely with the peanut-free spread. Students can pair up together to complete this step. 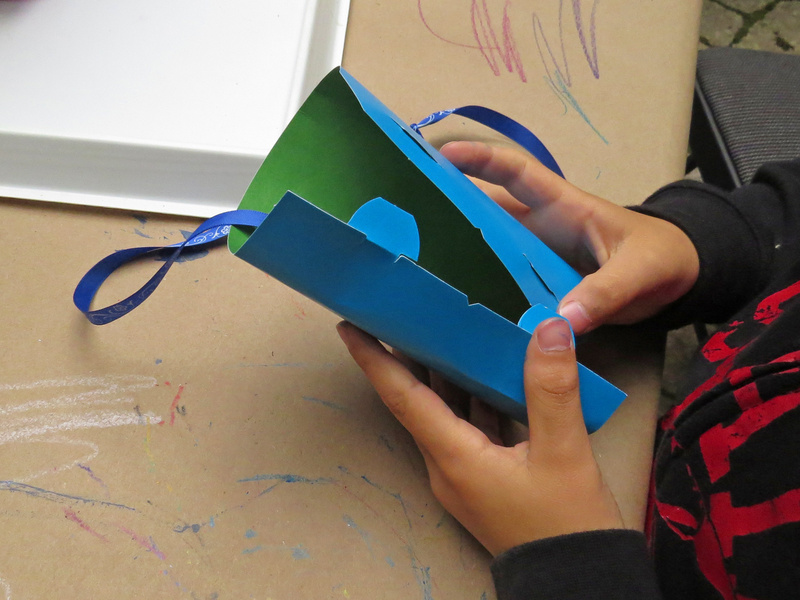 One student can hold the edges of the tube while the other student uses a plastic knife to smear the spread. 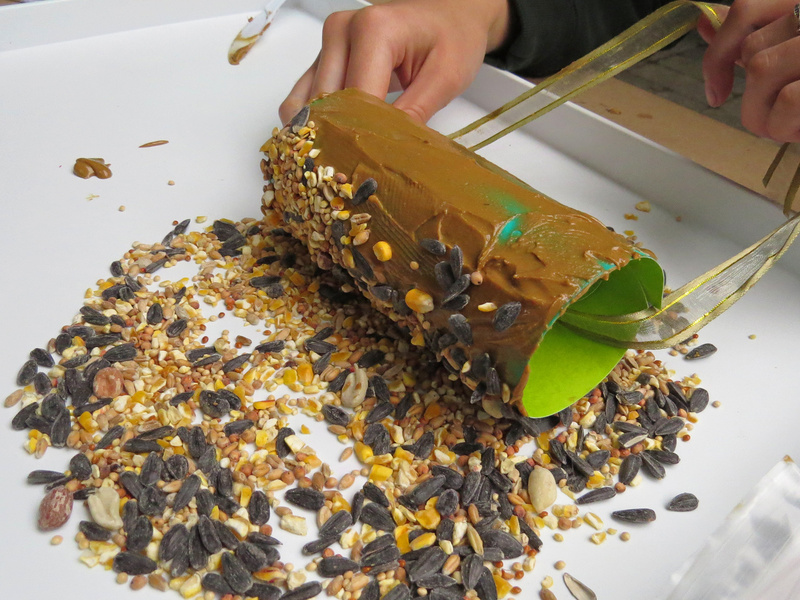 Next, roll the tube across a pile of birdseed. 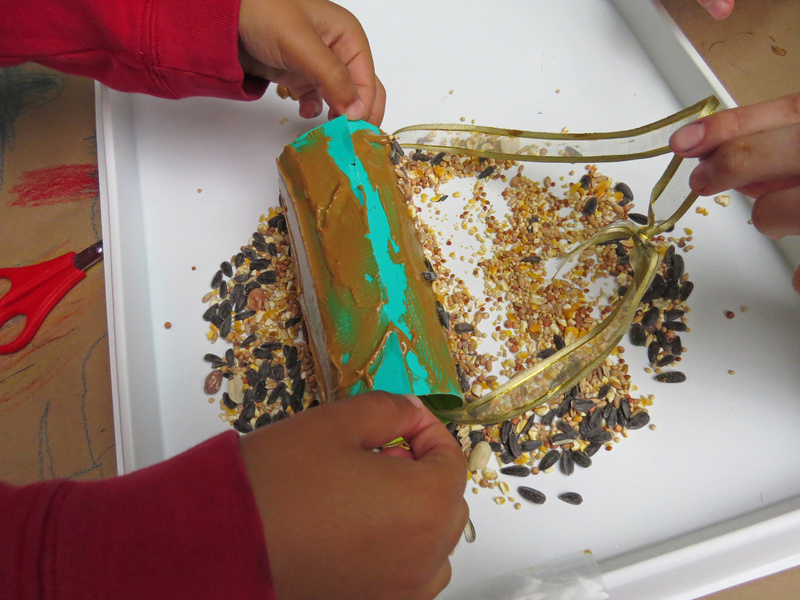 Press the tube down onto the seeds so that the spread picks up a lot of seeds. You can pat down more of the seeds onto the tube to cover it completely. Find a nice low-lying branch to hang the tube feeder. 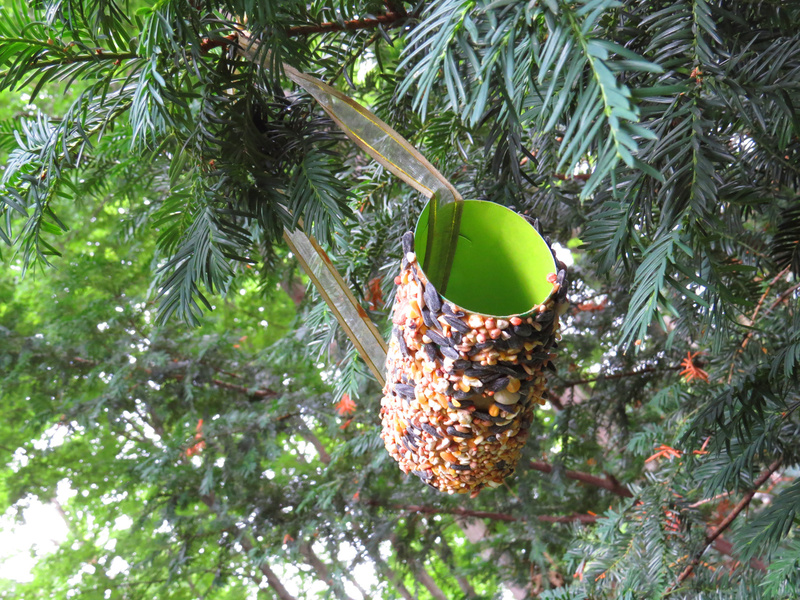 If you would want to attract birds, hang the tube feeder on a higher branch. 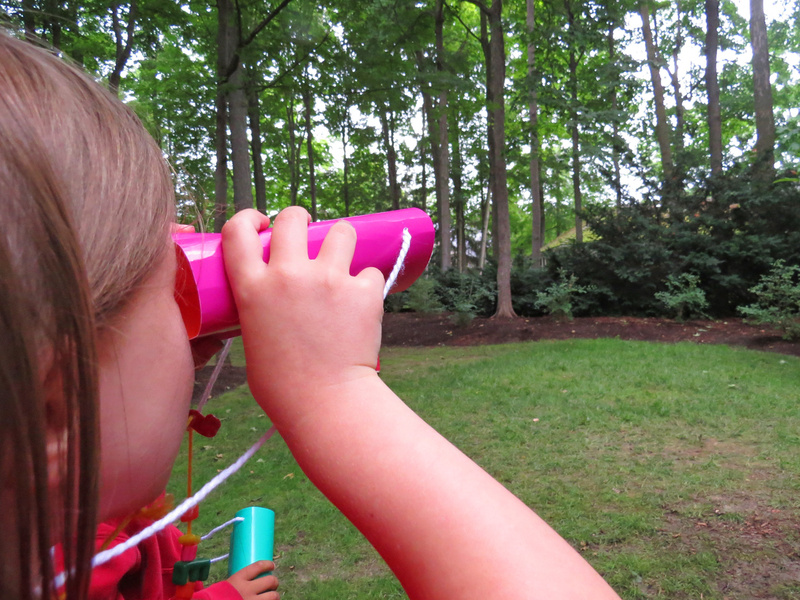 Meanwhile, you can make your own pair of binoculars to watch the tube feeder! Roll up two more of the tubes. Attach them together with strips of tape. These pair of binoculars were made by creasing down an edge of the tube. While pinching the crease, press in the opposite side and make a second inner crease. This will create a heart-like shape out of the tube. Connect the two tubes together with tape. You can also punch two holes into each side of the binoculars. 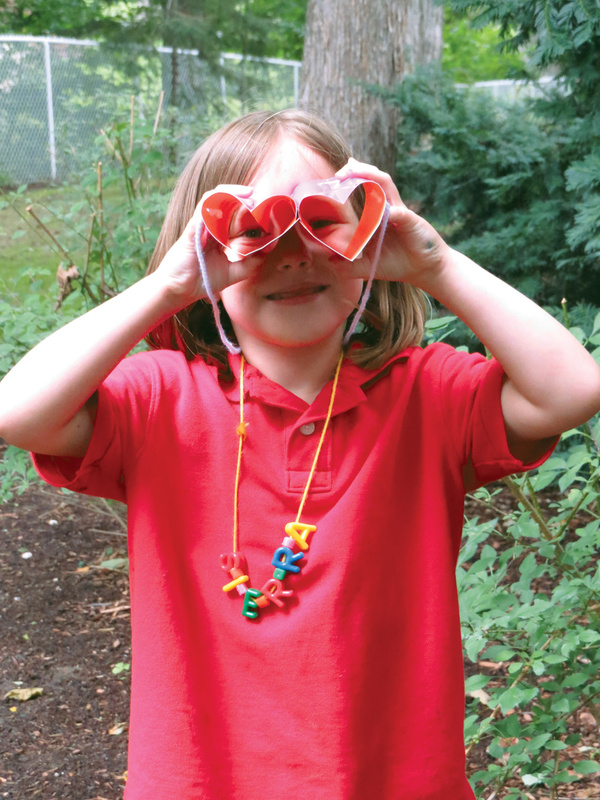 Tie on a length of string to each hole so kids can wear the binoculars. 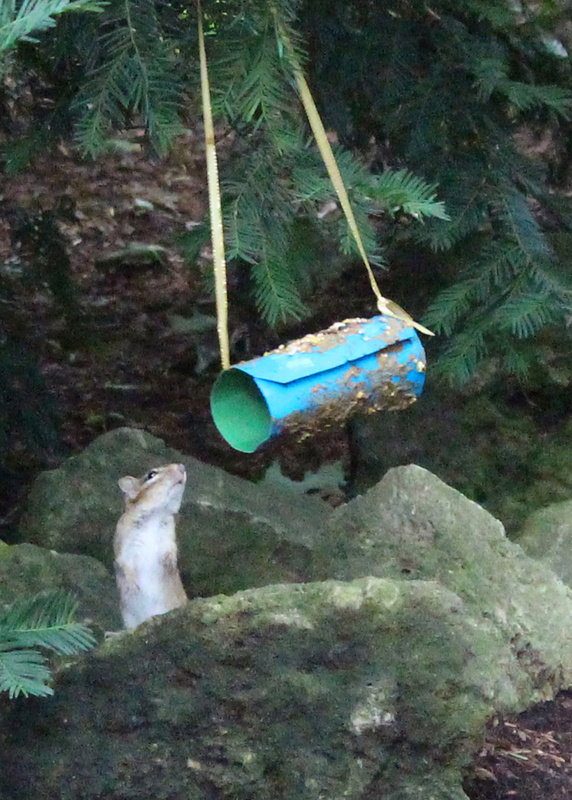 He noticed the Tube Feeder! Now it’s time for a snack! 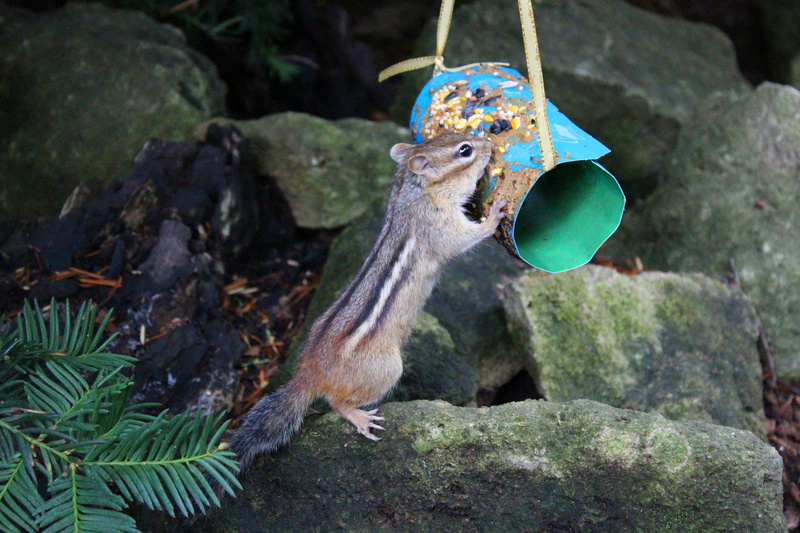 This entry was posted in Crafts, download and tagged binoculars tube crafts, bird feeder diy, bird seed feeder, cardboard tube crafts, chipmunk feeder, seed feeder diy, toilet paper crafts, tube crafts, tube feeder by roylcoblog. Bookmark the permalink. Loved, LOVED this post. 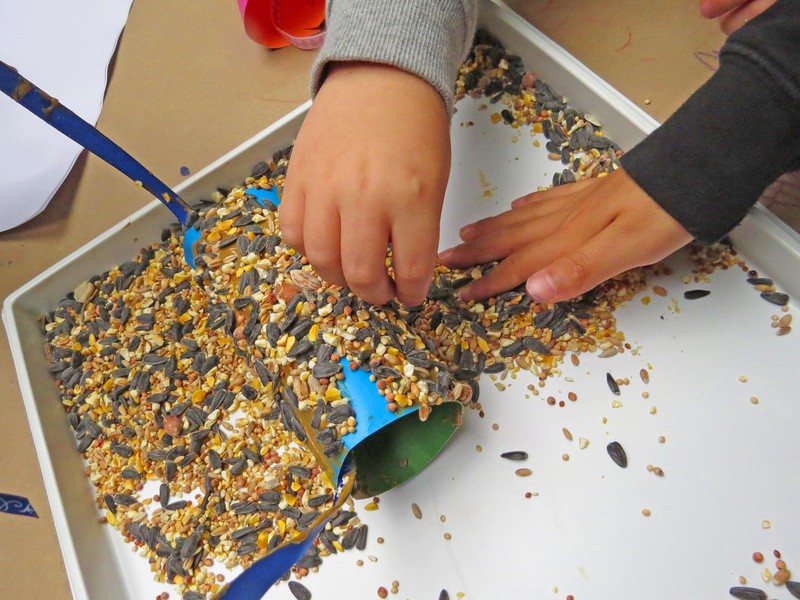 I love watching the birds myself but when you can include the kids in making a feeder, I’m all for it. I am featuring this post on Wonderful Wednesday Blog Hop tomorrow and sharing.